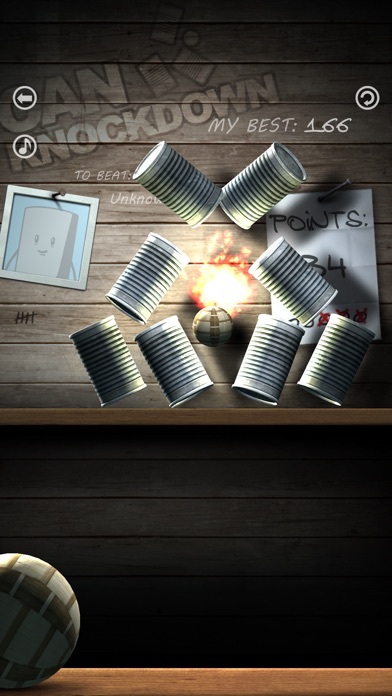 If you have any problems with "Can Knockdown", please do contact us at support@idreams.pl. 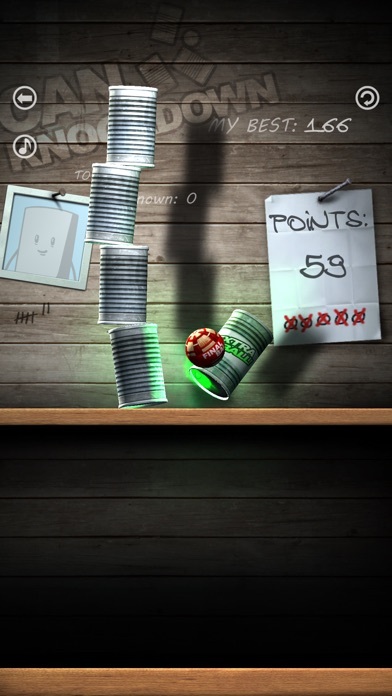 スゴイ機能が盛りだくさんの Can Knockdownには、友達もみんなビックリ!一度始めたら、どんどん先へ進みたくなります。オンライン ランキングや、精緻なグラフィクス、現実感溢れる独自の物理エンジン、得点倍増ボーナスや、爆発などなど、盛りだくさんです!Can Knockdown は縁日の「射的」をパワーアップして、楽しさを倍増させたゲームなのです! 100% FREE addicting game by iDreams! 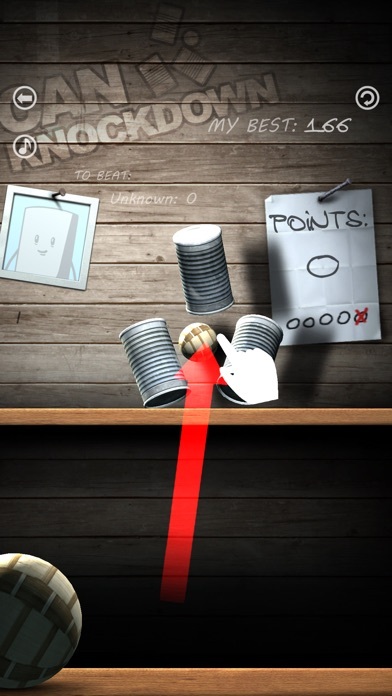 Become a cold blood sniper while aiming at and knocking down piles and pyramids of cans! 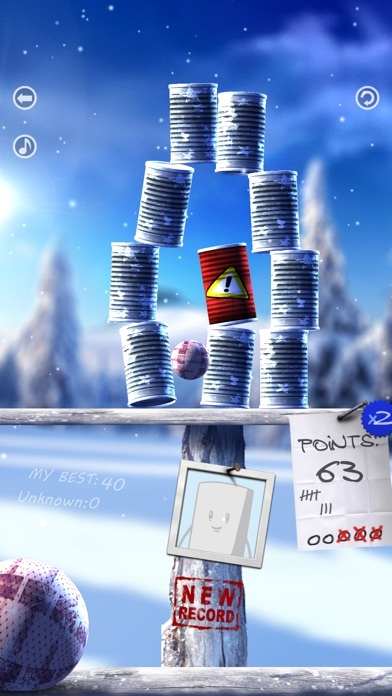 Start playing and you just won't put down this marvelous title till you drain your battery empty! You have been warned! 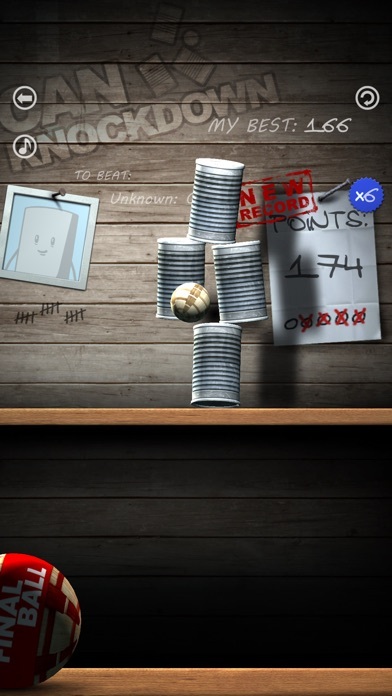 Can Knockdown will include many astonishing features which will amaze your friends and make you come back for more! Online leaderboards via Game Center, absolutely gorgeous graphics, high-res Retina display support, unique and realistic physics engine, multipliers, explosive action and so much more!